A copy editor quit of her own volition and tried to claim unemployment. Supposedly we “were training a summer intern to replace her”. Retarded idea… You can’t replace a full time employee with a summer intern. We even told her she could move up if she got her work on track. Ugh. My CFO and a Digital Producer did not invoice a major client for three months while we have done tons of work. CFO did not apologize, instead had lots of reasons why it was other peoples fault. 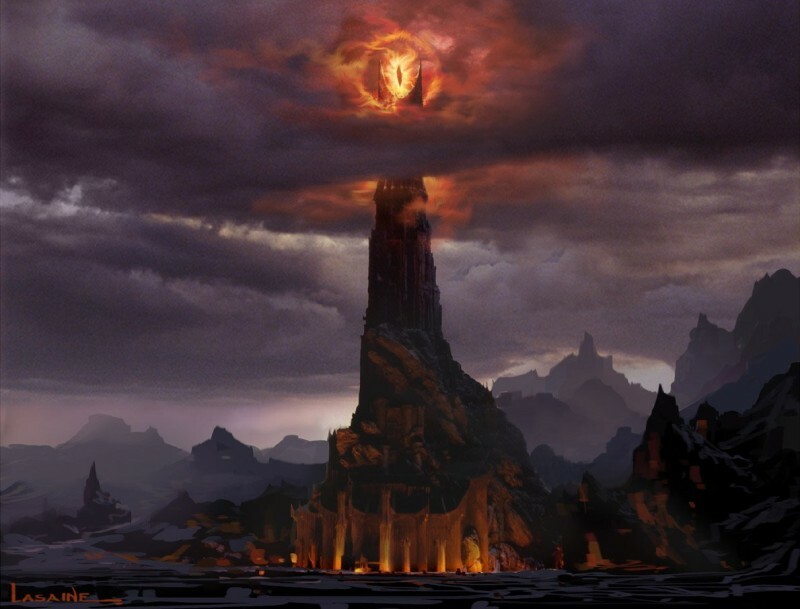 Josh says I am the Eye of Sauron at Coalition. Download the Better Life Plan Cheat Sheet PDF here. Life is a wonderful, amazing and rare gift. 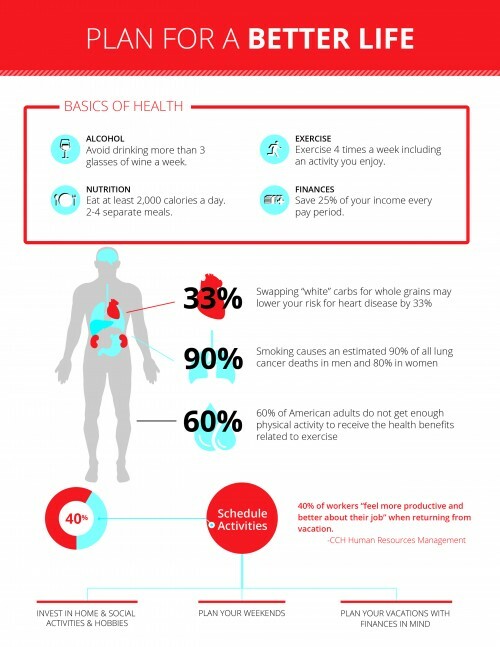 Maximize your enjoyment of it by taking care of your body. You take care of your body now, it will take care of you as you get old. Never smoke, avoid drinking more than 3 glasses of wine in a week (and no more than 2 in a sitting), never take prescription or illegal drugs. Save at least 25% of your income every pay period. Just take your paycheck and put money straight from it into a savings account. Pretend you make only 70% of what your actual paycheck is and budget your life accordingly. Once you have 25% of your annual income saved, move this fund into a Scottrade investment account. Productive: work with focus and energy and passion. Find ways to improve your job and get more done than we were able to get done before. Attitude: have a smile on your face and be willing to try anything to help the company improve. Make other people around you happy to have you on the team. Plan your weekends and many evenings with the same fervor you plan your work. Come up with good ideas and execute on them. Download the PDF of the tax credits and preparation cheat sheet here. Taxes are an inevitable part of life for the successful business owner. Once your company is built and operational and bringing profits, Uncle Sam is going to come knocking at your door to take his share. You want to make sure you pay all of the taxes you are legally obligated to or you will find yourself in prison or paying huge fees at a high interest. Politicians make very sure that they get your money. You do want to minimize your tax burden as much as you legally can though otherwise. There are a number of tax credits and strategies you can use to help reduce the amount of money you pay in taxes each year so that you can reinvest in your company and increase your growth. Below I will run through the best tax software to use, the best tax credits and breaks for business owners and tax preparation strategies to be aware of. These strategies will of course change depending on what state you are in, talk to a local tax specialist for more advice. I strongly suggest using TurboTax from Intuit for small business owners. This software is well crafted and comprehensive in checking most of the things you need to do. For a small business owner on a limited budget this software is a godsend. I have used it myself in my business for the last 3 years and expect to use it going into the future as well. Know basics of taxation. The government taxes you generally based on your profits. Revenues – expenses = profits. The IRS uses a schedule of tax rates so that the higher your profits are the higher percentage of your profits you pay as tax. Your goal as a business owner is to use tax rules and tax credits and other tax tools to make your revenue appear as low as legally possible to the IRS and your expenses as high as legally possible so that the IRS sees a smaller profit thus making you pay less total money in taxes. Understand what is and is not a deductible business expense. The IRS defines any expense that is “ordinary, necessary, and reasonable” as a deductible business expense. Buying a computer for your business is deductible, but buying a computer for your home is not. Each expense or property that you purchase must be used specifically in your trade or business and help you generate income. Certain items are specifically prohibited from being deductible such as traffic fines, illegal payments, clothing at work, etc. Avoid trouble with the IRS by keeping good records. Never forget the “3 R’s” of an audit: recordkeeping, recordkeeping, and more recordkeeping. IRS studies have shown that poor recordkeeping, not fraud, is what causes most small businesses to end up getting penalized and audited. Keep receipts and invoices for everything you can and try to organize them either by month or by category (or both) so that if an audit happens you can easily find your records to prove your purchases. You especially want to keep records for travel, entertainment, and car expenses as these are items the IRS loves to look at. What type of business structure should you use? 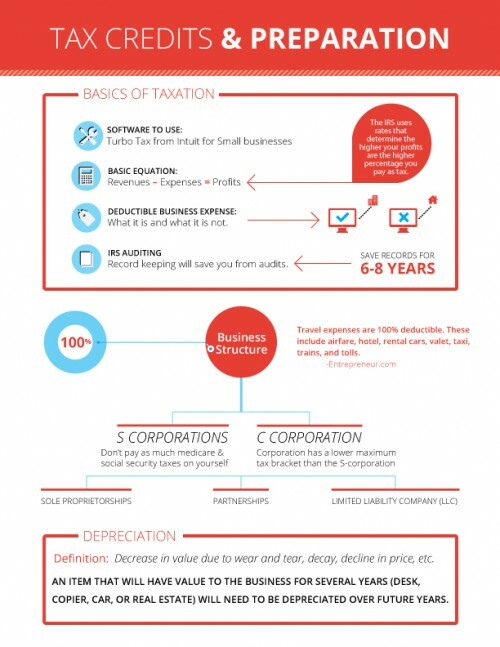 Small businesses generally get better tax treatment by filing as an S-corporation because you don’t need to pay as much medicare and social security taxes on yourself. However, as you grow and reach $400,000 in income as a single filer or $450,000 as a joint filer you will want to consider switching to a C corporation structure as a C corporation has a lower maximum tax bracket than the S-corporation (35% vs 39.6%). What items can be deducted in full this year versus what items need to be spread over several years? Current expenses, such as paper, rent, electricity and other consumables you use immediately can be deducted this year. If you purchase an item that will have value to the business for several years, you need to depreciate that asset over future years. Assets that require depreciation are items like a desk, copier, car, or real estate you purchase. IRS has a set of rules that explain what the specific depreciation schedule is for different types of items.